If you ever go to Denmark you will notice that lagkage (layer cake) can probably be found in every bakery. The reason is because it is a traditional celebration/birthday cake here, but just one slice of lagkage at a bakery can cost you around 45 dkk ($7), so if you want a whole lagkage that can be very expensive. There is a cheaper way, however, to make your own lagkage here and it is way too easy. You can buy a pre-baked lagkagebunde (layer cake bottoms) in both “chocolate” and “light” at any grocery store here and there are several brands to choose from. I like the lyse lagkagebunde by Karen Volf the best. 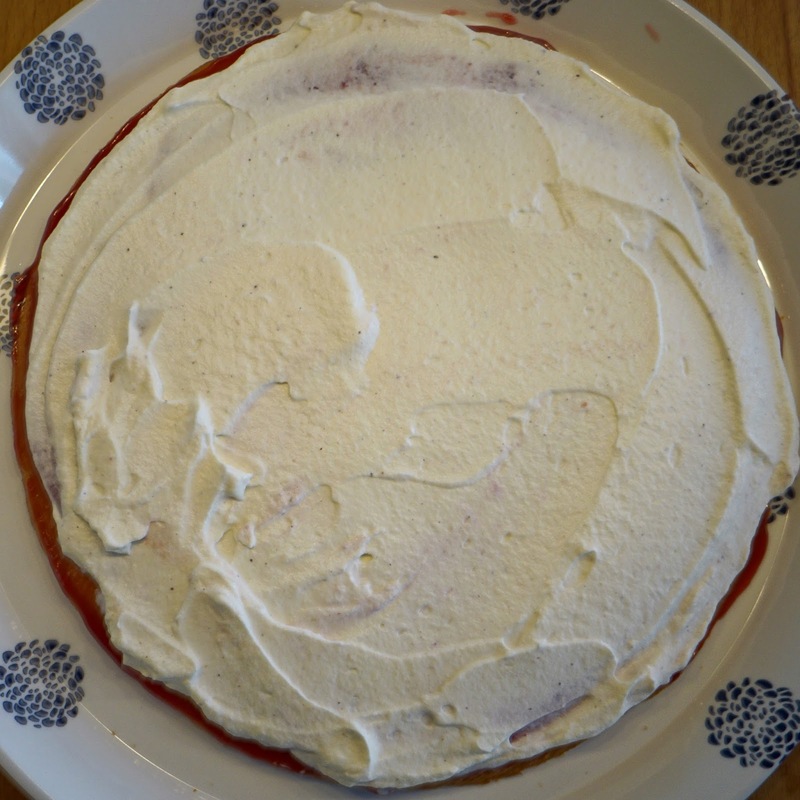 I decided I wanted to make a lagkage with fresh strawberries, raspberry jam (I didn’t have strawberry on hand), and whipped cream with vanilla. 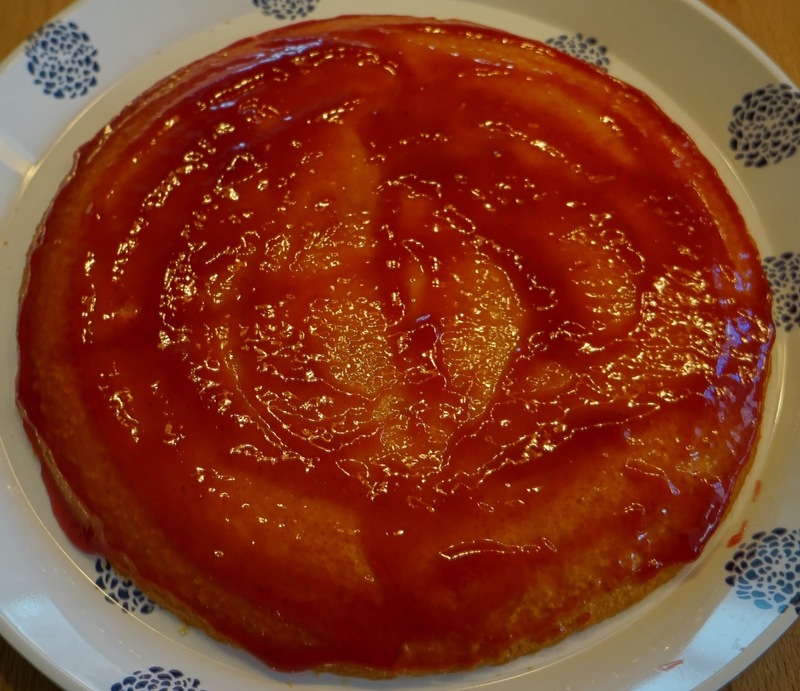 Next, I spread a layer of jam on top of the first layer (bottom layer) of cake. 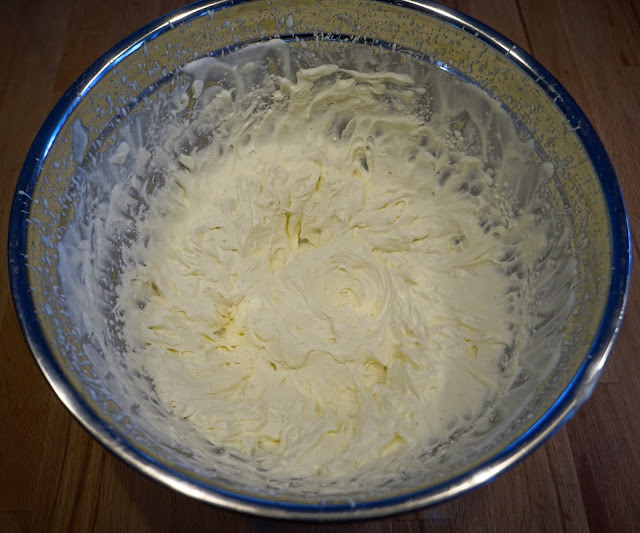 Then, I spread a layer of whipped cream on top of the jam. You can make the layers as thick as you want. 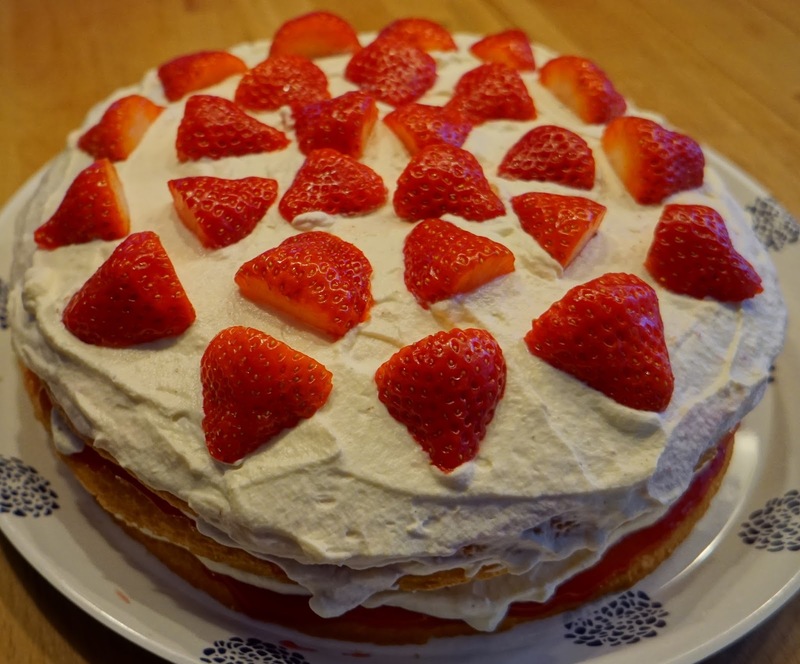 Then, I placed some sliced strawberries on top of the whipped cream. 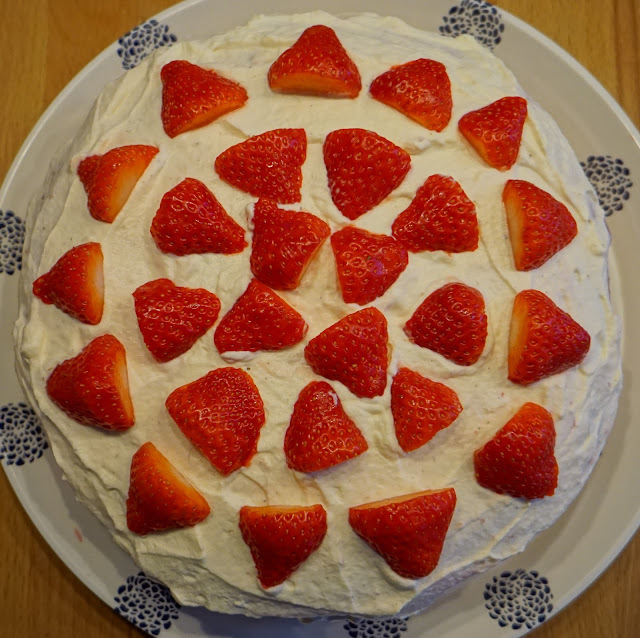 I sliced each strawberry into three layers when I made this lagkage. I then placed the middle layer of cake on top of the strawberries and repeated the process until all three layers were complete. Once complete you should refridgerate the cake, and actually it tastes best the next day because the cake gets more moist over time. This is the finished product. Doesn’t it look tasty? 🙂 So for around 60 dkk ($9) I was able to make a whole lagkage. If you want to make a layer cake and don’t have access to pre-baked cake layers at your grocery store, you can always buy a boxed cake mix or make a cake from scratch. Once baked and cooled, take a perforated knife and carefully divide the cake into three layers. I have done this before myself.